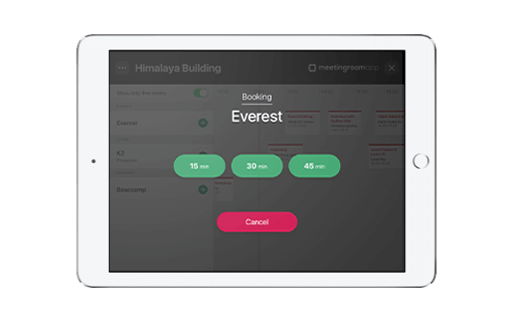 Smart technology enables effective management and planning of company meetings, makes company processes simpler and helps to use company space in a better way. administration on your own server. 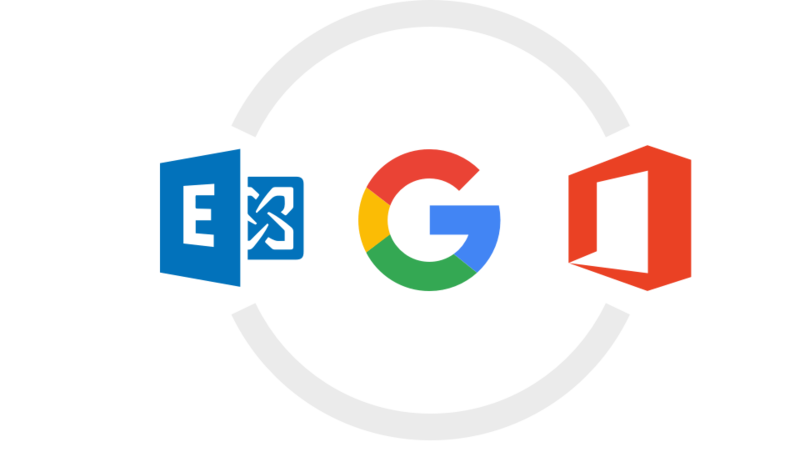 Microsoft Exchange or Office 365. 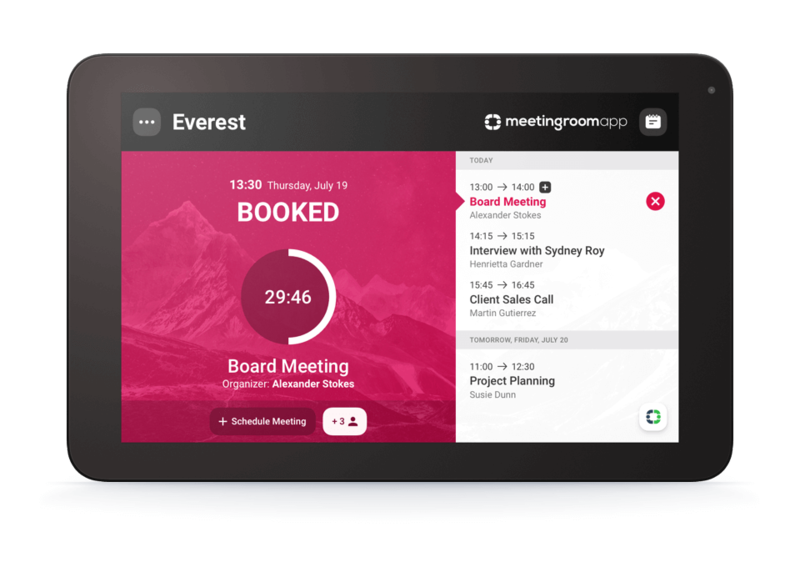 The scheduled meeting will be visible on the display of the meeting room device immediately after the reservation is made. 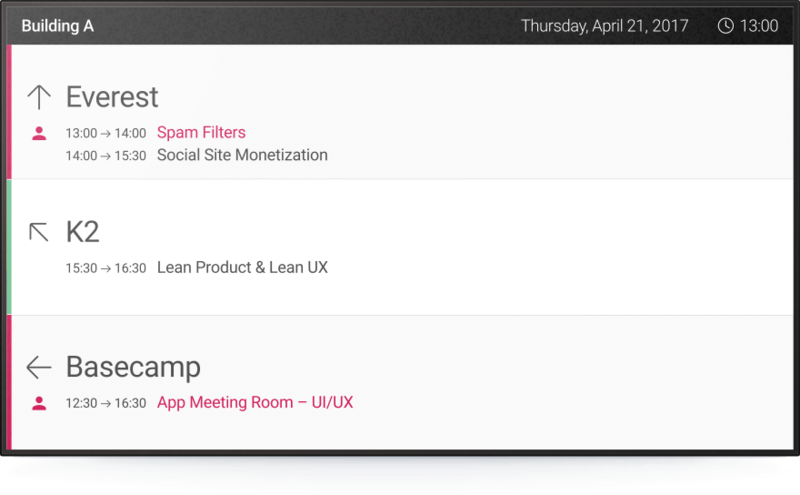 On the right on the agenda, you can see the name, date and time of the meeting. Once the meeting starts, you can also see the participants. 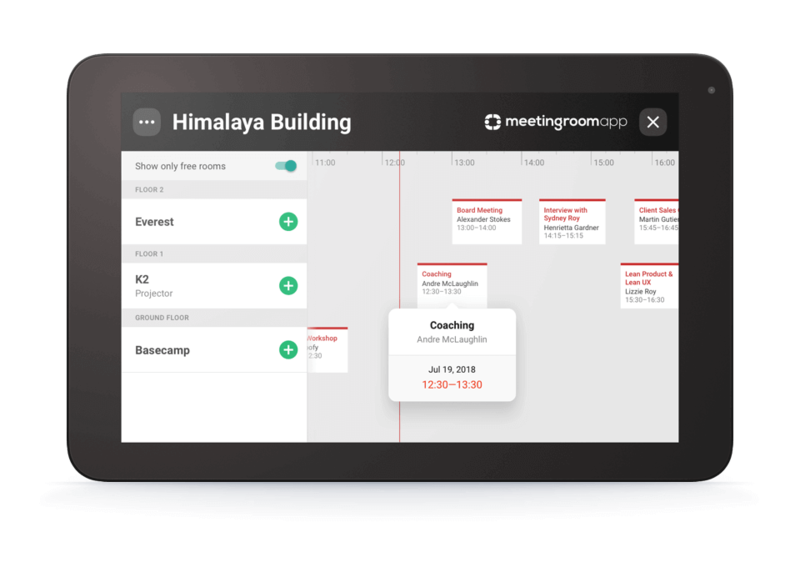 MeetingRoomApp saves the display life. 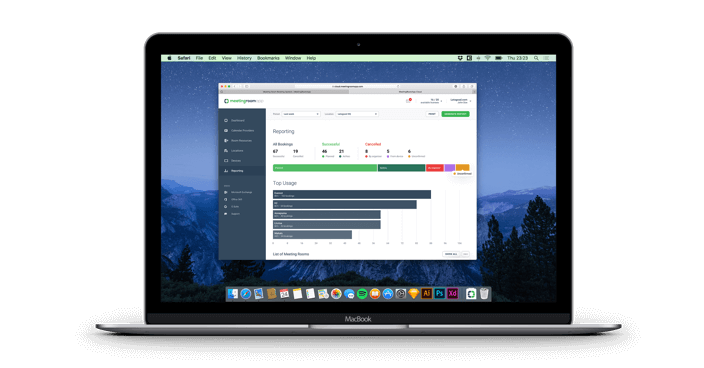 The app allows easy set up of your office work. 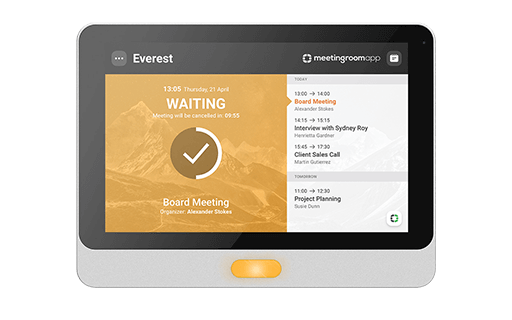 Confirm your attendance at the meeting on the display of the meeting room device by pressing the Confirm button. If the attendance is not confirmed 15 minutes before the start or within 15 minutes after the meeting starts, the booking gets cancelled automatically and the room can be immediately booked. 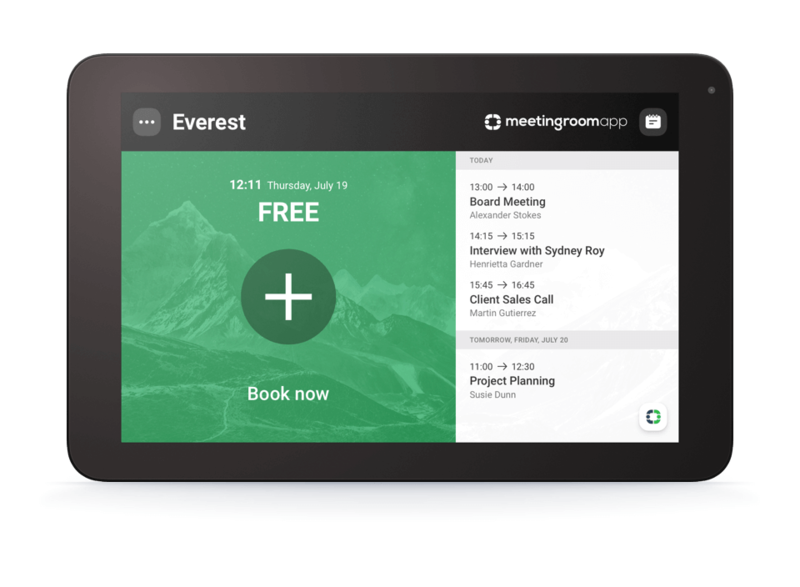 This function allows you to see company events on the display of the meeting room device. 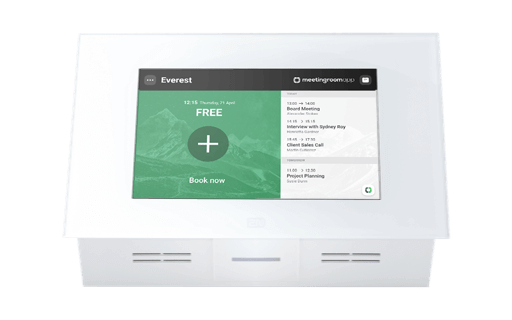 Particularly useful for training rooms, the function turns the device into an information panel displaying basic information about the event currently held in the room. 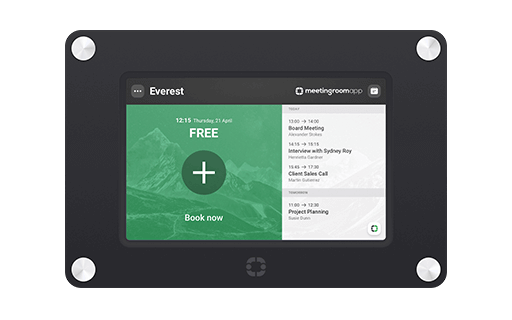 This function allows you to book any room on the display of a meeting room device. 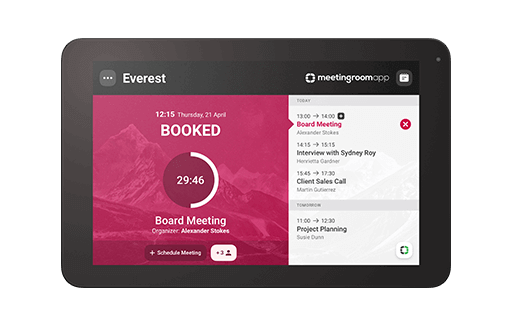 Users can see all the meeting rooms in the company directly on the reservation device, and choose and book an available room suitable for their needs quickly and easily, using a ‘television panel’. Call your office attendant for cleaning and catering in your meeting room or IT support. Order the service you want in just two clicks. 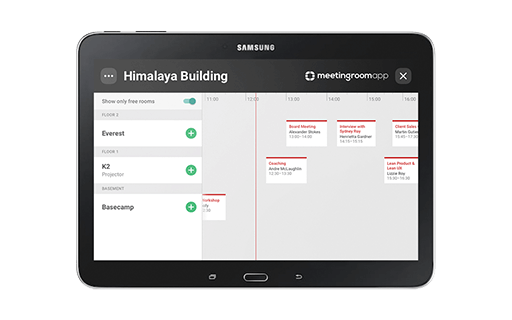 MeetingRoomApp Dashboard and Reporting is an analytical tool which provides information about top meeting room usage and top meeting rooms users. The 10.1″ Touch Panel PC is designed to serve as an all-round informative display which can be mounted on any surface. iPad has always been unique in its simplicity that carries you away. Now you can combine it with the right accessories to make a lasting impression. With state-of-the-art features and a slick and slim body, the latest Galaxy Tab S2 tablet model comes in a first-class design.